Setup Wireless Wifi hotspot; we are going to get the solution that how to create a secure wireless wifi hotspot on Samsung galaxy note 3 android smartphone. At the previous, we had gave many article about setup wireless hotspot. So you have to be known about the secure wireless Wifi hotspot. We also use the section on the most usable place. Such as, collection information from Apple device via Share-it apps even it maybe photos, music, videos and others etc. So you must create a secure wireless WiFi hotspot. Because, apple does not support only wifi. At first, they will take confirm and then will give access to get the privileges. Not only this, but also there have so many section to use the secure wireless internet. I hope, you would be satisfied to create this process. There have a worming massages for you. You should abide the security very strongly. So try to create the WiFi hotspot on the Samsung Galaxy Note 3. Operating Systems: android operating systems Supported with the version of JellyBean 4.3 and available on 4.4.2 KitKat. Between the versions is not same. There have some difference. Technology: supported network technology GSM, HSPA, LTE and the high speed network supported with the HSPA network. Speed up to 42Mpbs. Display & CPU: The display is AMOLED capacitive touchscreen. Up to size 5.7 inches, with the resolution 1080×1920. Glass is corning Gorilla 3. Memory & RAM Storage: Memory card slot up to 64GB and the internal memory card 32GB, RAM 3GB. Wireless & GPS: This is the steps that you want to create with the galaxy note 3 android smartphone. Wifi 802.11 a/b/g/n and dual band, direct wifi hotspot. 1. Tap the Samsung galaxy Note 3 Home Screen and tap the Menu Key. 3. Now see Wireless and Networks; tap more to expand the menu. 4. Tap the Mobile HotSpot where you find it. 5. 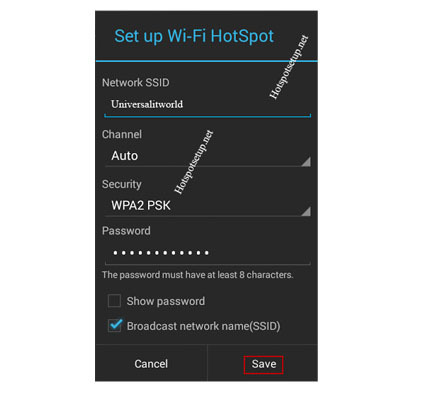 Tap on Mobile Hotspot Settings. 8. Tap to Save When done. 3. Wireless and Networks, Tap the menu more to expand. 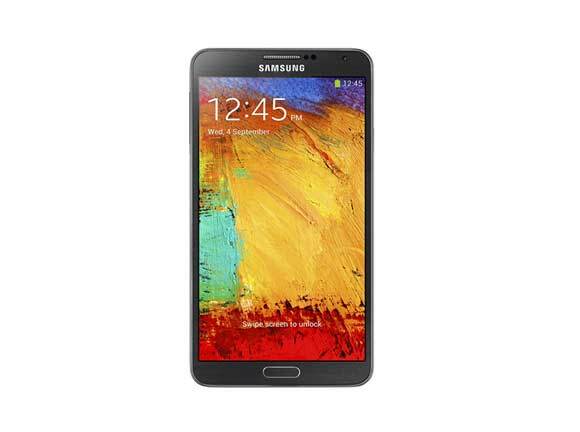 Now look at the upper screen of Samsung galaxy Note 3 show you wifi symptoms. 3. Under Wireles and Networks tap more to expand the menu. 5. Clear the Mobile hotspot check box.